Celebrate America's passionate coffee obsession! 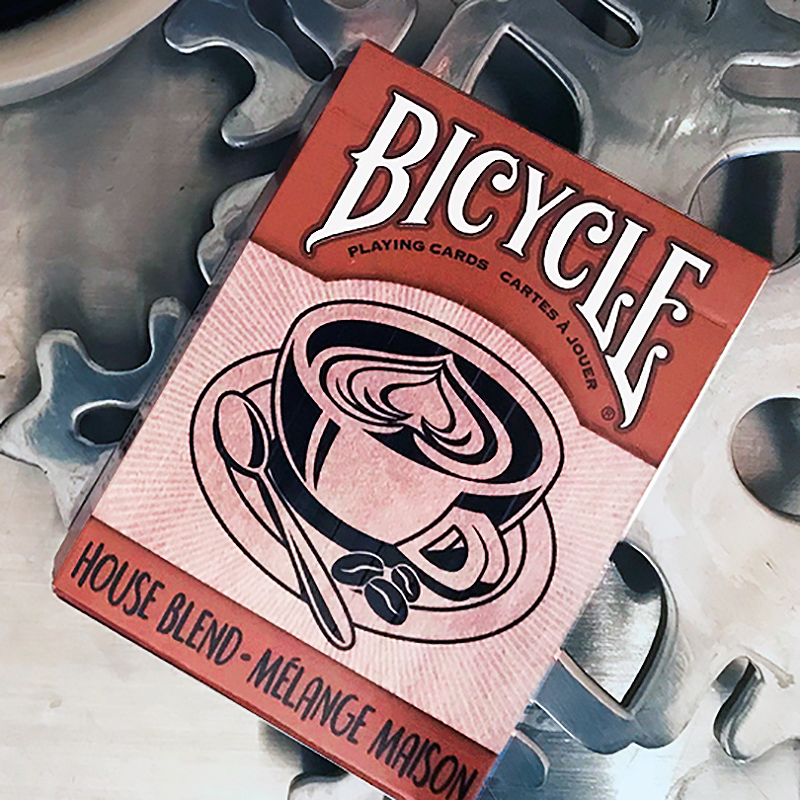 Bicycle Playing Cards House Blend, a deck that brings the coffee house experience home to you. Each of these cards has been fresh brewed in our factory to infuse your card playing experience with the feel of your local coffee house. Every element of this deck is good to the last drop! - Dark-roasted colors are perfect for a card game with a cup of your favorite coffee. - Printed on premium Bicycle brand cardstock. - Classic Air-Cushion Finish for ease of shuffling and optimum performance. - Made in USA. • The cards are poker size and of the usual Bicycle quality. Αυτό το προϊόν προστέθηκε στον κατάλογό μας την Thursday 05 April, 2018.